I have been trying this new thing where I am drastically minimizing my wardrobe (and things in general). I downsized my apartment from a two-bedroom to a one-bedroom which means I no longer have a master-bedroom-turned-closet. It's been a real struggle getting rid of things I love (but don't need), there are days where I am literally moving things from one corner to another corner because I have no room to store them. It is a work in progress but I am getting there! I am focusing on keeping classic pieces that will last a long time... like this cotton poplin shirt by Everlane. The square silhouette gives it a modern twist without looking too boxy, it actually looks quite flattering. 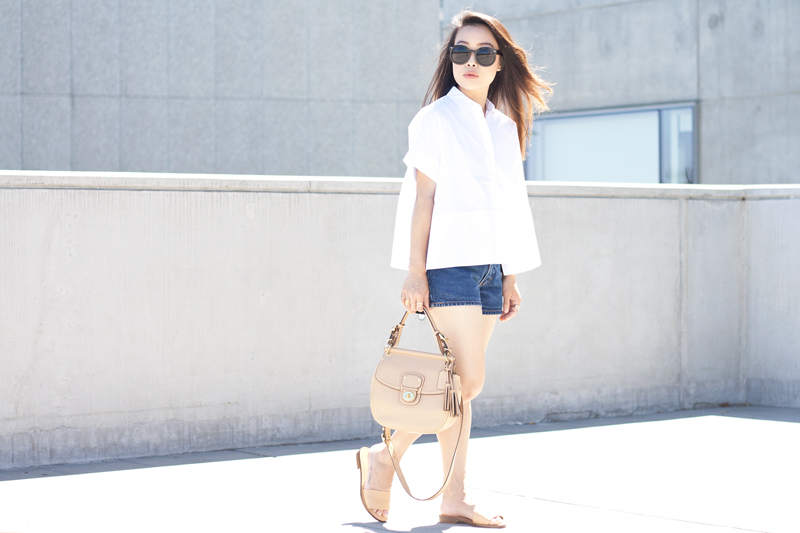 I paired it with some vintage denim shorts and simple leather sandals also by Everlane. 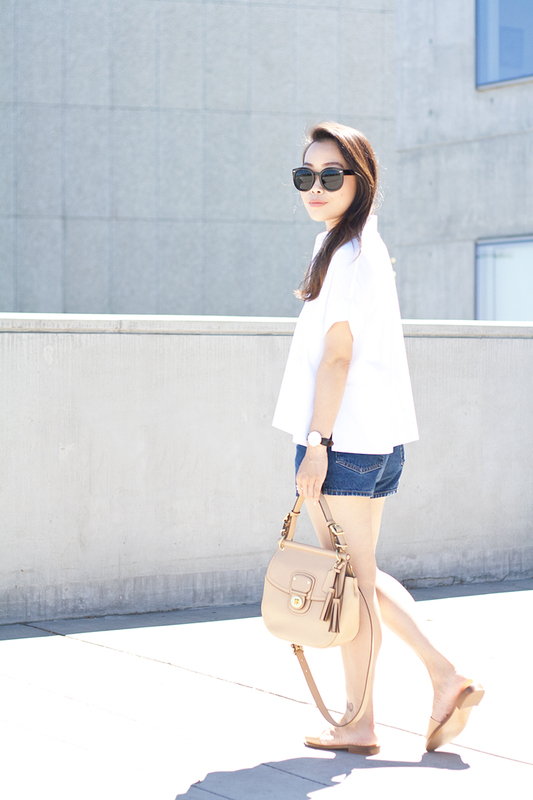 Keeping it simple and classic this summer! 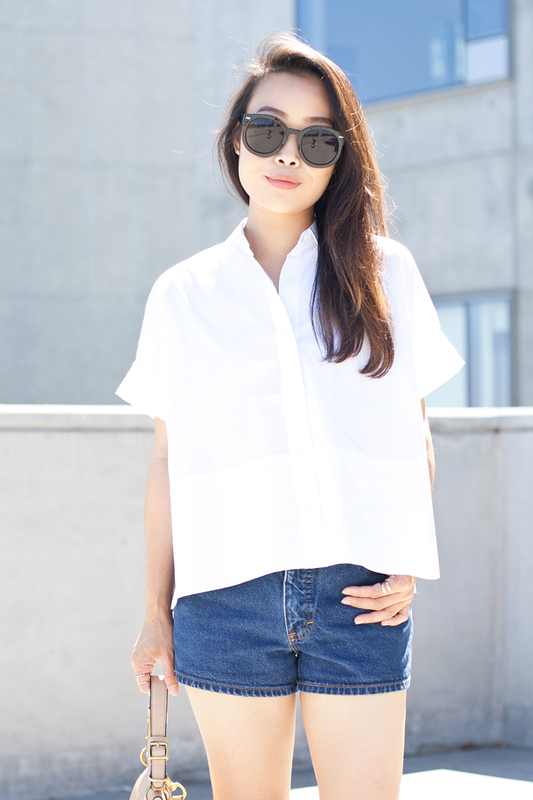 Cotton poplin square shirt c/o Everlane. The slide sandal c/o Everlane. Photos - shot by my sister Anais Clancy, edited by me. i love everlane and have the silk version of your shirt! great post! The perfect match between your bag and your shoes is to die for!